You may be the best salesperson ever at selling whatever it is you sell, but this time you’re selling yourself, and it requires a different approach. Just like you’d conduct research on a new client before a sales call, so should you do your due diligence to research the best way to write your resume. 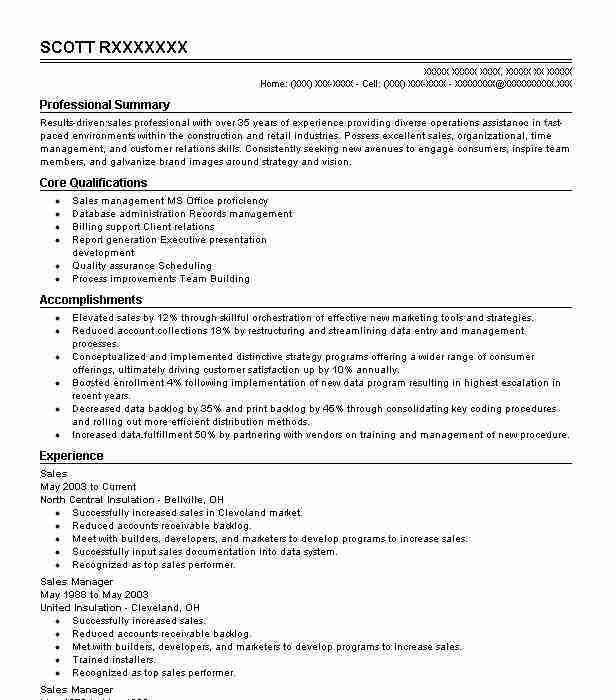 Fortunately, there are a variety of sales resume samples out there to peruse. Along the way, you’ll get an idea of format, what to include, and the many sectors that fall under the broad umbrella of sales. You’ll learn the best way to identify potential crossover skills, and you’ll learn how to highlight your progression in sales. As you read further, you’ll find guidance and suggestions to help your resume stand out, and you’ll learn about common pitfalls to avoid. Sales professionals may brag that they can sell ice to an Eskimo, but unless you’re applying for a job at an ice company, leave that kind of bravado out of your resume. As you review sales resume samples, you’ll notice that the best ones mention quantifiable results. That’s what a potential employer is interested in. They won’t be sold with fluff and puff. There are two types of resumes that are used most often, chronological and functional, and they each include basic sections. First, you need to decide which type you want to write. Yet a third option is to combine the two. 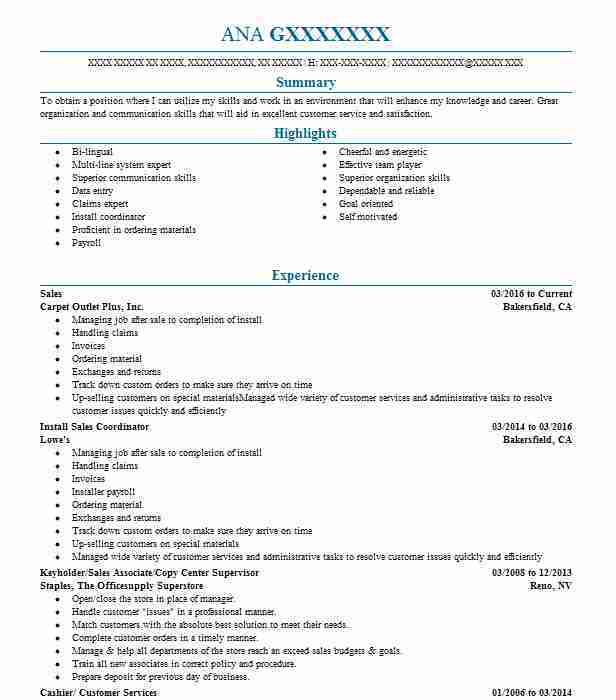 You can find sales resume samples of each type to help as you craft your own. View your resume summary as an introduction and a handshake, and from the first word, present yourself as the candidate they’ve been looking for. In your sales career, you’ve probably heard that you should sell the sizzle, but when you’re applying for a sales position, a potential employer wants to see the steak. 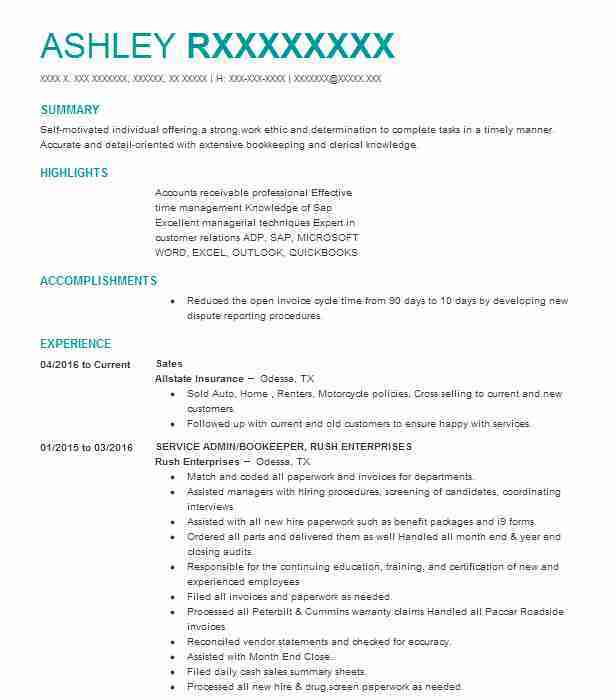 By reviewing sales resume samples, you’ll find examples of summaries that state achievements in specific terms. Refer also to the job description, and to the extent that you can claim the skills and experience required, mention them first. Your summary should be brief – two to three concise sentences. If you have additional qualifications, they can be mentioned later in your resume. Don’t generalize your skills. State your successes clearly and quantitatively. Avoid the use of adjectives like hard working or highly organized. While those traits are admirable, they don’t tell the hiring manager how you’ve exceeded sales quotas by at least 20 percent every quarter. With your background in sales, you understand the importance of a first impression. A well-crafted summary is an invitation to a potential employer to learn more about you and hopefully to contact you for an interview. Experienced advertising sales agent for both print and online publications. Consistently exceeded sales quotas by at least 15 percent, and identified new customers, conducted research on their businesses, and customized proposals. Maintained a retention rate of new clients of 40 percent annually. Created media packages for clients who reported increased sales resulting from the exposure. Regional sales representative in a five state area selling IT consulting services. Researched the primary programming languages used, contacted IT Managers, and negotiated hourly rates for contract programmers, ensuring a margin of at least 25 percent. By joining user groups, was able to identify potential clients, resulting in 15 percent of new clients emanating from that source. Education requirements for sales positions vary by company, product, and industry, but no matter how much education you have, it should be listed in a simple, easy-to-read format. The only pieces of information needed for your formal education are the school attended, the degree or diploma obtained, and the location of the school. The highest level of education obtained should be listed first. 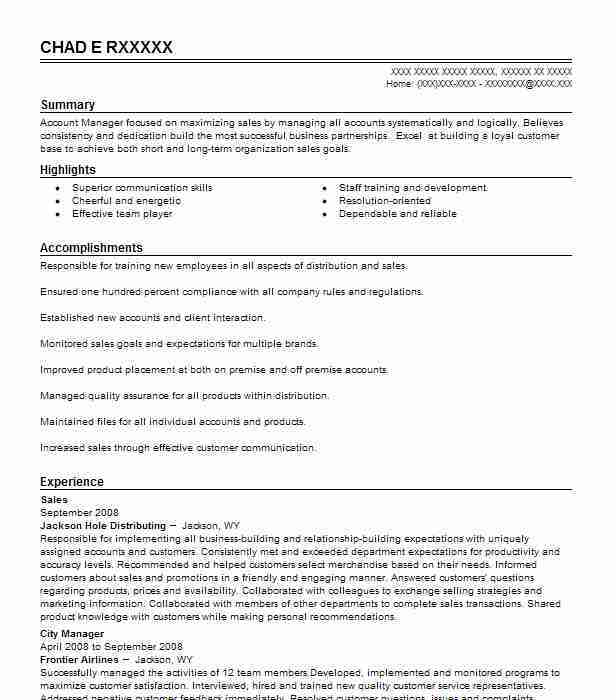 Review a few sales resume samples for formatting ideas. Success in business-to-business (B2B) sales is often underpinned with a degree in business, with business-to-consumer (B2C) sales, less so. If you’re applying for a B2B sales position, the potential employer will probably be pleased to see a bachelor’s degree, even if they haven’t stated it as a requirement. If you’re hoping for a B2C position, the lack of a degree shouldn’t hurt your chances. Niche sales positions in the technical or scientific sectors often require studies in specific areas, and certain industries, like insurance, require certifications and ongoing education. Any course study or documentation of your credentials should be listed in the education section of your resume. Lastly, if you’re a member of any industry-related organizations, include that information as well. The work experience section of your resume will differ depending on your decision to use the chronological, functional, or combination resume style. No matter which type you decide on, before you begin to write, check the job description to see what specific qualifications they’re looking for, and try to match your own experience to their requirements. If you have an uninterrupted list of jobs with increasing responsibilities, the chronological style is for you. Simple heading formats should include the same basic information for each job: name of the company, city and state, period of employment, and job title. Under each job heading, create 3-6 bullet points that highlight your accomplishments. Potential employers want to see how your efforts were responsible for positive, quantitative results. Use action verbs to describe how you work, and provide statistics. Show, don’t tell. If you have gaps in employment, or are hoping to crossover into another area of sales for which you believe you are qualified, the functional style is recommended. You’ll have the opportunity to highlight achievements that the potential employer can relate to all in one place – the accomplishments section. Follow the plan to mirror your qualifications to the requirements of the employer. Don’t just say you’re a hard worker. Provide the numbers that show you are. As a result of so much information being included in the accomplishments section, the actual work experience section in a functional resume will have less detail and will likely end up being a basic list of previous positions. 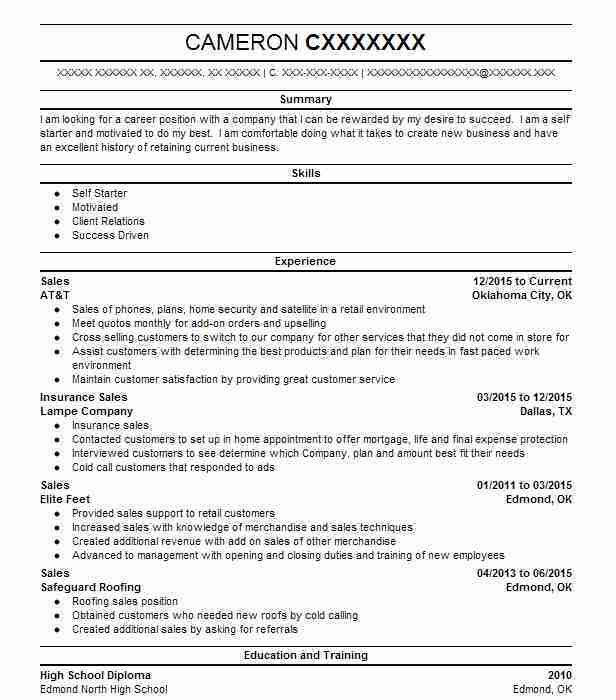 If you’re not sure how to format this section, refer to the sales resume samples for a style that works for you. Revisit the sales resume samples you’ve identified and look for more verbs that may apply to your particular area of sales. Customer service skills, including listening to the customer and then finding a solution. The hard skills are easier to identify and should include proficiency in MS Office, particularly PowerPoint, since many customer presentations are made via laptop. A familiarity with web-based technologies is often preferred by large corporate sales departments. List the skills identified in the job description first, and then you can add any additional skills you can bring to the position. Unless an employer asks for references to be part of your resume, and that hardly ever happens, there’s no good reason to include them. You have more important things to use that space for, because you don’t want your resume to be over two pages long. If you go back and look at the sales resume samples you’ve identified, you won’t see references taking up space. If you simply state that they’re available upon request, you’ll have a few advantages. You’ll know the employer is interested when they request them, you can give your references a heads-up to be expecting a call, and you can ask them to let you know when they’ve been contacted. As far as who you should use as a reference, the general rule of thumb is one or two previous managers and another sales person with whom you’ve worked. Using a former customer contact can be tricky if you signed a non-compete document. Even that small amount of contact could be construed as a breach. However, if there is no such limitation, and you can list a client that the potential employer might like an introduction to, it could turn out to be a good idea. Just make sure you have the permission of everyone on your list. Use your exceptional people-reading skills to know if you’re putting someone in an awkward position. Use your good written communication skills by being concise, specific, and quantitative. If you write just to fill up the page, the hiring manager will tire of reading your resume before they’re finished. Save the first-person pronouns like I,, my, and we for your cover letter. Your resume is a more formal document. The importance of proofreading can’t be overstated, and if you can, have someone proof your final version. Odds are, a fresh eye will find a few typos or grammatical mistakes that you missed. People tend to read what they think they’ve written. Even if you believe you were treated unfairly at a previous job, keep it to yourself. Negativity doesn’t get the interview. If you’re a seasoned sales professional, beware of listing every job you’ve ever had on your resume. You could be setting yourself up for age discrimination that you’d never be aware of. If you show 15-20 years of experience, that’s more than enough. The Bureau of Labor Statistics rates job prospects for all occupations at a growth of 11 percent for the period of 2012 to 2022. Following are select comparisons for three sectors of sales and their projected growth. Advertising sales is projected to have little change during that time period, because even though print advertising is in decline, some of that loss is offset by online advertising. Digital media advertising, however, is allowing companies to directly target potential consumers and can be accomplished without the help of advertising sales agents. Experience and education should provide an edge in the competition for these positions. Wholesale and manufacturing sales is projected to grow from 9 to 10 percent, which is about the same rate as all occupations. Those jobs that include technical and scientific products will grow at the 10 percent rate. Because of the face-to-face nature of this work, it is not likely to be outsourced. Growth opportunities at independent sales agencies in this sector is expected to be strong. Insurance sales will likely grow at a 10 percent rate. The industry’s growth parallels the economy, and a continued demand for insurance policies is likely. Even though consumers can purchase many types of insurance online, much of the population prefers the expertise of an agent they can talk to. Many consumers find it time consuming and confusing without an agent’s advice.